The Pocono Mountains Enculturation Program is a great tool for members of the PMVB and their staff to learn more about the Pocono Mountains. 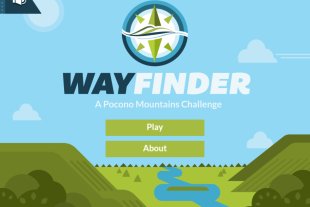 Wayfinder, A Pocono Mountains Challenge, is the Pocono Mountains Visitors Bureau’s e-learning tool that will help to reinforce the Pocono Mountains Brand and increase awareness regarding the multitude of activities, restaurants, events, attractions and accommodations throughout the four-county, Pocono Mountains region of Carbon, Monroe, Pike and Wayne. Upon successful completion of the program, participants will become Brand Ambassadors and receive a silver pin, signifying their commitment to the hospitality industry. Brand Ambassadors are eligible to be nominated for PMVB Tourism Achievement Awards and/or a gold pin.